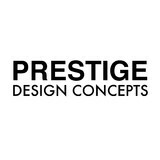 At Prestige Design Concepts, our focus is providing high-quality workmanship to all of our clients. Whether you need a complete home renovation or a single room remodel, our dedication to quality and integrity are always our top priorities. Since 2010 Prestige Design Concepts, has created incredibly beautiful interiors for both residential and commercial spaces. Starting as a millwork manufacturing, fabrication and installation business, Prestige Design Concepts successfully grew to now service large scale, high-end projects across New York City without sacrificing the quality craftsmanship that got the business started. As New York City natives, their team know how tough it is to remodel in the city and their expertise of the area helps them and their clients complete projects in a timely and professional manner. If you have any comments or questions, please feel free to contact us. We look forward to meeting you! MK Carpentry Design, established in 2017, specializes in high-end residential homes and commercial spaces counting with over 20 years of experience from its lead carpenter and owner. MK Carpentry Design is fruit of our idealization and dream of having a company in which fulfills our passion for transforming client’s visions into a pristine tangible product. From concept to completion, MK Carpentry Design believes that clear communication is key to achieve an end-result that satisfies primarily our client’s needs and our passion for perfection. Tico’s Carpentry and Roofing, LLC. 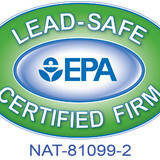 is a fully licensed registered and insured company located in Maplewood, NJ. With over 10 years of combined experience, we specialize in building and remodeling projects; not only do we build it well, but we build it the best way. We pride ourselves at being masters of our trade. Most importantly, we all share a commitment to quality work and attention to detail. We approach each project with enthusiasm and finish with pride. Tico’s strives in making all of our projects to be of the highest quality, but also to be completed efficiently and on schedule. Your carpentry or roofing project must be done with thorough planning and accurate estimating. You need to feel complete confidence in the work and the company that does it. 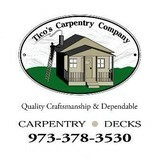 No matter what type of project you may be planning, Tico’s Carpentry and Roofing, LLC. has the knowledge and experience to guarantee the project is professionally done within the budget. Tony Predovan Contracting is a father son run business who focuses on providing customers with quality and craftsmanship. Vexell is an architectural millwork company producing high quality wood air conditioning registers. 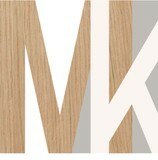 Fabricated from domestic and imported hardwoods our products are designed to be as beautiful as they are functional. Our wide variety of available styles and finishes is sure to offer a grille that surpasses your expectations and transform an often overlooked interior design element. Remodeling contractor, who specializes in Built in cabinetry and improving finished spaces. We also do whole house renovations, with our team of qualified subcontractors. Sometimes we"'ll do the smallest of jobs as well, such as rot repair and fixing doors. Finish carpentry service providing other services as well. Small company with big dreams! I am an Army veteran who values integrity. I have more than 6 years as Carpenter/ Handyman from New York to Texas. I can install most types of moulding, trim and wood flooring. I am proficient in finish carpentry and have plenty of experience painting. We are Insured! Yuriy Inc. has been providing licensed master craftsman woodwork in the Tri-State area for over 15 years.. Our expertise is not limited and extends from the most simple (garden arches) to the extravagant (indoor saunas and wine cellars). While we specialize in custom residential carpentry, we have expanded into the realm of residential & commercial awnings to make your home/business really stand out and provide energy efficiency. Jeff has been dedicated to helping people just like you transform their homes into the homes of their dreams for over 30 years. Jeff has developed a strong client base and has a solid reputation for the high-quality materials and attention to details that successful and lasting home improvement projects require. Jeff is fully licensed and insured, allowing you to hire him with a peace of mind that comes with knowing that your home is in excellent hands. Suppliers of Unique Exotic Wood Lumber & Live-Edge Slabs for Tables, Mantels and Cabinetry. 100 wood species from around the World.